Wheelie bins are now a de facto method of storing our waste while it waits for collection and with current councils cutting costs and the number of weekly collections our rubbish is standing exposed for longer periods of time. Why should we worry about our rubbish? Identity theft is now more common and one of the easiest ways of finding personal information about you is for someone to trawl through your trash looking for old statements and letters. Â A good way to protect from this is to shred all personal documents with your name and address on. 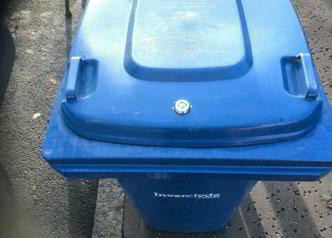 If you do not have a shredder then you can get a simple lock for your bin that stops the lid being opened. Whilst wheelie bins are waiting to be emptied they are also prone to bad weather and having your bin topple over and spread the unwanted contents everywhere is not only annoying but means you have toÂ return the rubbish to its rightful place. Our Bin Spring can help prevent this and unwanted incursions by rodents and other wildlife by putting sustained pressure on the bin lid. You could of course use a large rock but it would not look as neat and tidy. 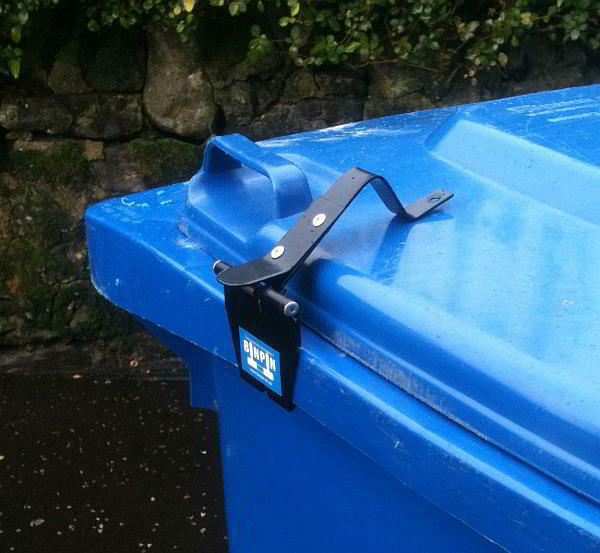 Lastly we have the bin lock designed and manufactured in the UK and at Â£29 + VAT a neat way of preventing your wheelie bin or bins going walkabout and being used by vandals to have a nice fire in the winter months. 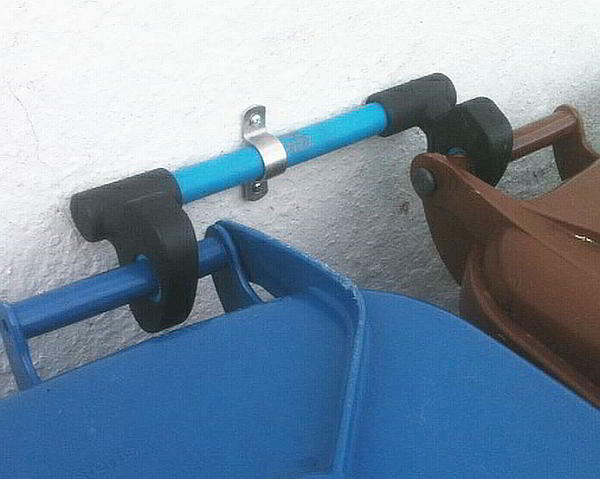 All of the wheelie bin accessories can be seen on our newly updated web page and you could soon be the envy of yourÂ friends and neighbours as your wheelie bin stays majestic and clean whilst others disappear and spread there contents to the four winds.